Pearl was the name of a sixty-five foot Chesapeake Bay Schooner that was chartered by free African Americans for $100 to rescue 77 people from slavery in Washington, DC in 1848. The Pearl Incident was the largest recorded nonviolent escape attempt by slaves in United States history. Like the nearby states of Maryland and Virginia, Washington, DC had a slave market and was part of the slave trade; because it was connected to the Chesapeake Bay by the Potomac River, slaves were shipped or marched overland through this city. Slaves worked as domestic servants and artisans for their owners, or were hired out to work for others. Free blacks and whites were active in the city, trying to abolish slavery and the slave trade. In 1848 free blacks outnumbered slaves in the District of Columbia by three to one. The first Africans in Virginia brought to Jamestown in 1619 were quickly purchased on the same terms as English indentured servants: after seven years of labor, they were free. By 1625, there were said to be twenty-three Africans serving in Virginia; twenty-five years later, there were 300. Blacks were not automatically slaves in early Virginia. Some held property, married and raised families outside the institution of slavery. Before 1660, most slaves in Virginia lived on plantations with two or three others, and most slaves were male. Interactions with whites were common and restrictions based exclusively on race were not rigid. Slavery is a civil relationship in which one person has absolute power over the fortune, life and liberty of another. Chattel slavery further defines that relationship with the added dimension of ownership as personal property (chattel), in which the chattel can be bought and sold as if they were commodities. 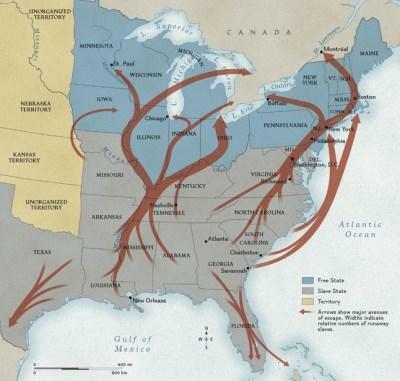 Chattel slavery was legal in the American colonies from the mid-17th century to the end of the Civil War in 1865. A slave is a human being who is forced to obey the commands of others, and to work for nothing. A chattel slave is an enslaved person who is owned forever and whose children and children's children are automatically enslaved as well. A chattel slave has no rights, and is no longer viewed as a human being, but as an object used to accomplish a task, like any other tool. Jane Johnson (1820-1872) was a slave whose escape to freedom was the focus of precedent-setting legal cases in 19th century Philadelphia. Safeguarded by Philadelphia abolitionists after her escape in 1855, Johnson later settled in Boston. There she married, and sheltered other fugitives slaves. Her son Isaiah served in the American Civil War with the 55th Massachusetts Regiment, U.S. Colored Troops. Jane Johnson is believed to have been born into slavery as Jane Williams in or near Washington, DC, the daughter of John and Jane Williams; the exact year of her birth is unknown. Virtually nothing is known of her early life, which she presumably spent on Virginia plantations; it is believed that she lived for part of that time in Caroline County and had several owners. Sally Hemings was the daughter of Elizabeth Hemings and, allegedly, John Wayles, Thomas Jefferson's father-in-law - Elizabeth Hemings and her children did live at John Wayles' plantation during his lifetime. In 18th-century Virginia, children born to slave mothers inherited their legal status, therefore Elizabeth and Sally Hemings and all their children, were legally slaves, even when the fathers were their white masters. If Sally Hemings' father was John Wayles, she would have been the half-sister of Thomas Jefferson's wife, Martha Wayles Jefferson. After Wayles died in 1773, Martha inherited the Hemings family; when Martha died in 1782, she left the Hemings family to Thomas Jefferson. Phillis Wheatley was born circa 1753 in West Africa, and was very likely kidnapped into slavery. She was named for the slave ship, Phillis, that brought her to Boston on July 11, 1761. She was purchased as a personal slave to Susannah Wheatley, wife of tailor John Wheatley, a prominent Boston merchant with a wholesale business, real estate, warehouses, and the schooner London Packet. Phillis was evidently around 7 years old at the time, and took her new master's surname. A frail child, Phillis was chosen to be a domestic servant and companion to Susannah Wheatley, an ardent Christian, in her later years. Although she spoke no English upon her arrival in this country, Phillis soon proved to be a precocious learner, and was tutored by the Wheatley's daughter Mary in English, Latin, history, geography, religion, and the Bible. Young Phillis quickly learned to speak English and to read the Bible with amazing fluency.